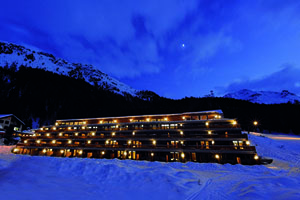 Nira Hotels & Resorts is to open a boutique hotel this winter, a few miles from the skiing resort of St Moritz. The Nira Alpina will offer 70 rooms, with a conference room opening out on to a terrace that can cater for up to 100 delegates. The hotel has a spa, gym, restaurant and bar on site. The bar has glass windows offering views across the valley.